The main focus of our language arts is always reading -- both independently and aloud together. I really feel there's no better way to increase your vocabulary, learn about the eloquence of language. We talk about what we read, we memorize poetry and all that. But since we have some standardized testing coming up, we're doing some more formal language arts review (thus all the worksheets). 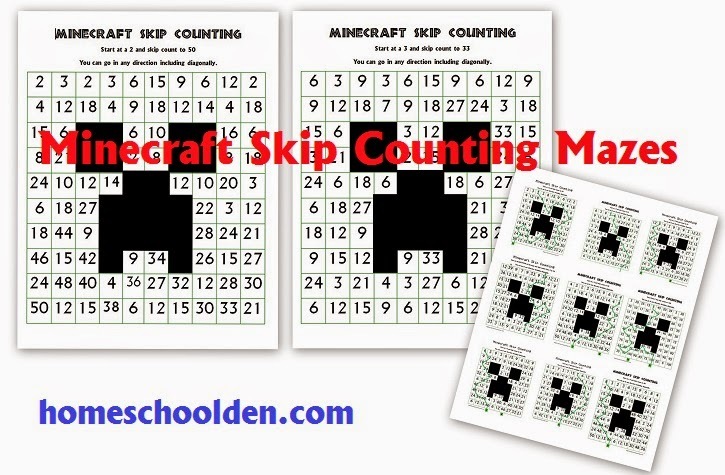 A quick, straightforward sheet seems to work best for LD (though we've never particularly been "worksheet" homeschoolers if you know what I mean). So, if anyone's interested here is the sheet I made to review some of the capitalization rules. 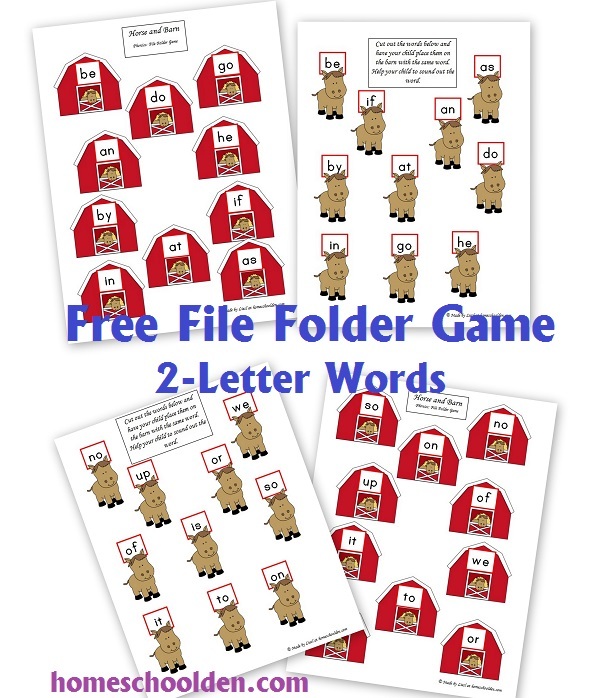 The blanks are for the kids to write in examples. For instance, "Titles such as..." Mr. Mrs. Dr. I'm playing around with inserting images and have a summer theme happening! Capitalization Practice Sheet -- Circle any capitalization errors you see. I made some addition cards for DD this afternoon. 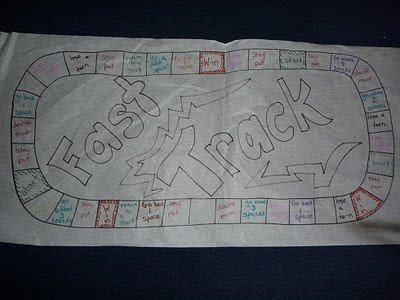 We needed some new, more challenging addition cards to use with our 'Fast Track' board game. DD wanted flowers and butterfly cards, so I thought I'd give it a go. She declared that these were "beauuuuu - ti - ful." Hope someone else can use them. 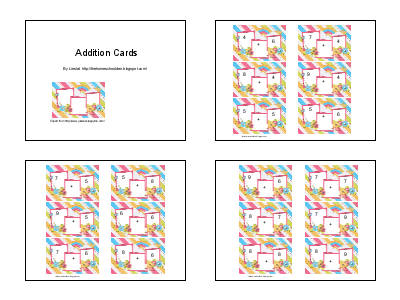 Click here to view and print out the addition cards. 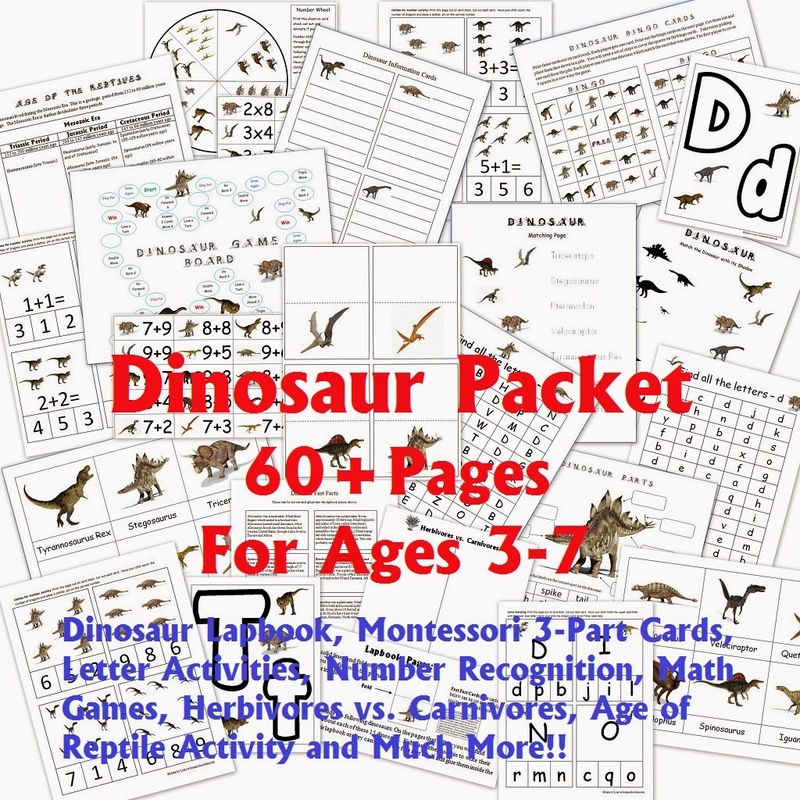 If you want to print out the addition cards, I suggest you go to FILE and select "DOWNLOAD AS..." Choose PDF and this will bring it up in Adobe Reader so that you can print the specific pages you are interested in. Here's our homemade board game again. You can start on any of the three start spaces. You can win on any of the three win spots. 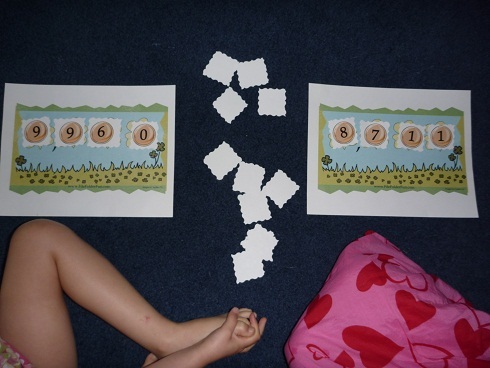 This idea came from the wonderful math resource, Games for Math by Peggy Kaye. Since my kids are learning a bit about the Mayans, Aztecs and Incas we decided to jump to South America with our world music class. 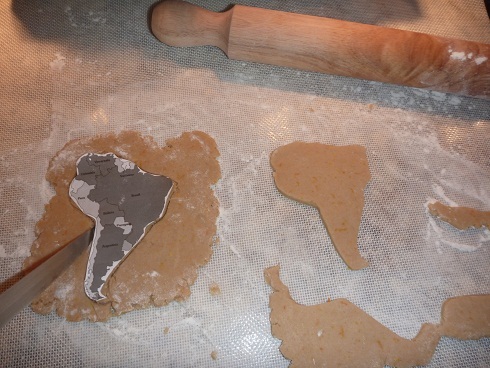 We are enjoying music, geography and games from Mexico and South America. 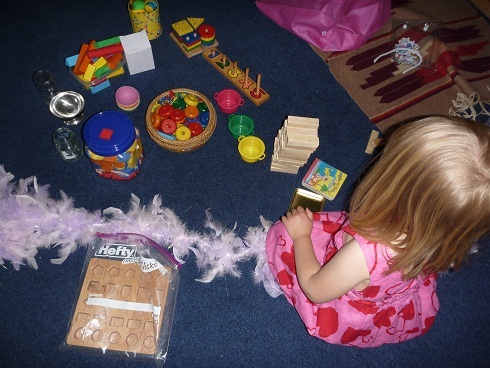 *We all sing hello and each child chooses a movement for the rest of the group to follow. *I pull out the guitar and we sing two or three folk songs/kids songs together. This session we're doing On Top of Old Smokey, On Top of Spaghetti, and Yankee Doodle. 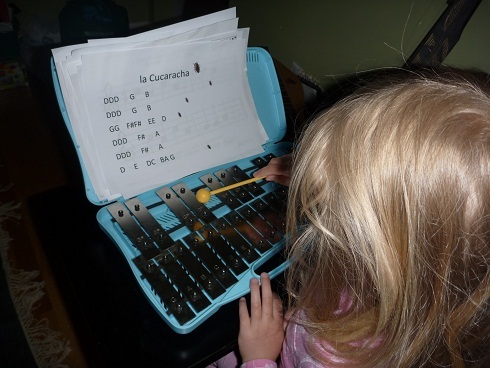 That's because we're learning la Cucaracha on the glockenspiel and it is a protest song similar in vein to Yankee Doodle. The kids all know it now, but I still like to review it each class. Also, the kids from the three-year old music class usually join in for the first part of class before they lose interest and go play, so ED is starting to know the continents too! 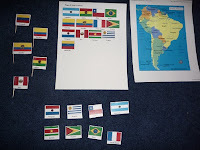 We are learning the countries and capitals of South America with the help of this video. The kids try to sing along as best they can. I have the capitals and countries written out, but the kids are only five so don't read well. We just fumble along best we can! 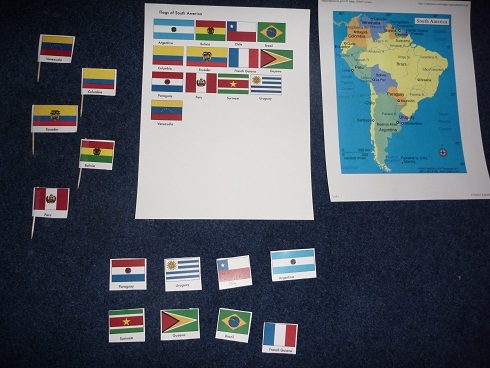 I got the South American country flags (free) from Montessori Materials. 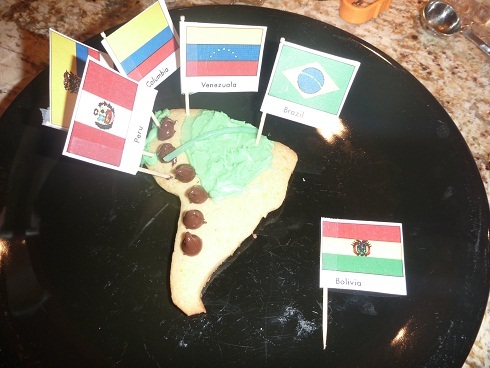 *South American cookie map project: Instead of the same ole pin map, we made a South America cookie (one per child) with five country flags (just five from the song), chocolate chip Andes Mountains and one long, blue piece of Amazon spaghetti for the river! *We did the Mexican Hat Dance and the kids practiced dancing with their heels touching the floor. They did an impressive job. Even our 3-yr old friend managed to do it! 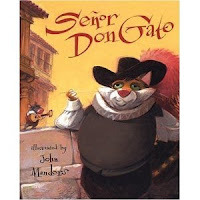 *We have been acting out the story of Don Gato (a Mexican folk tale); we've been acting it out with instruments. Next week I may use the book Señor Don Gato : a traditional song, which I borrowed from the library. *We also might sing the song (sheet music here) and the lyrics in English and Spanish can be found at kididdles.com or by searching the web. A youtube version (with cute video) can be found here. *We played a cute Mexican circle game called A Guanchilopostle where one child is in the middle, the rest hold hands and circle round him/her. On the chorus, the one in the middle dances while the others clap. Then he/she closes his/her eyes to choose another to be in the middle. Lyrics, MP3 recording can be found at mamalisa.com. The mosquitoes hold hands and circle the toad. They change directions every verse. When the song comes to an end, the toad tries to catch one of the mosquitoes. I've been trying to pull out a few photos which highlight some of our activities this year (and in general). You'll notice them in the sidebar to the right. If you're interested in seeing more you can click on the photo and that will bring up posts from that particular unit. We had many amazing friends over there. We found out last week that one family we are particularly close to is going to move to the same town as us! Hooray! This is pretty typical scenery. This was taken on a camping trip along a dry river bed. 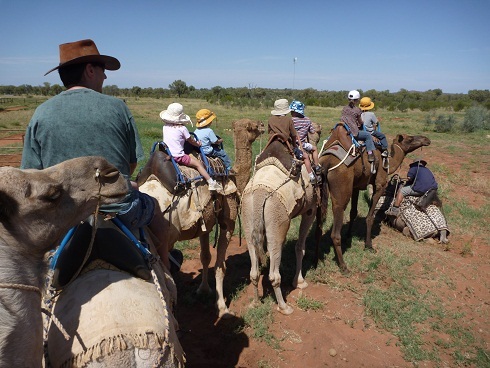 We always wore hats and often wore fly nets when we went hiking or camping because the flies were so bad. This is a thorny devil. We used to go feed the wallabies behind a local motel all the time (about once a month). You could by food for a dollar and the rock wallabies would feed out of your hand. This beautiful place is called Simpson's Gap. I used to do a lot of mountain biking and when I was training for mountain bike races I would ride my bike out there (roughly 20km each way). 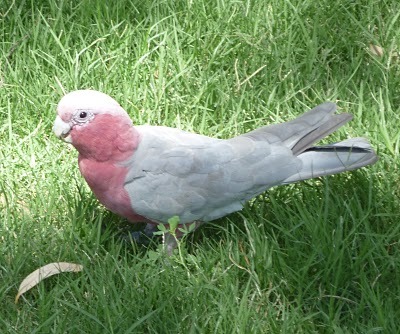 This is a Galah (ga-law). They are pretty, but make an awful squawking noise especially since they fly and feed in flocks. We had bird seed out on our fence and attracted lots of birds including galahs above and Port Lincoln Ring-necked Parrots (below). 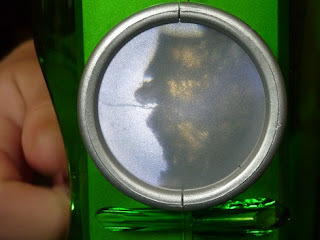 Port Lincolns are often seen together as a pair. I took the kids hiking at Standley Chasm all the time (above and below). The chasm was awesome looking at noon when the light came straight down. Each year there were camel races in town. They were great fun to watch and a big tourist attraction. This is a redback. 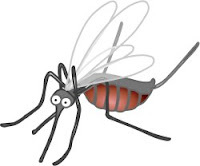 We had them all around our house. Ugh. They are related to the black widow and they are venomous. The kids loved the Reptile Centre because you could hold the lizards and one of their (non-venomous) snakes. 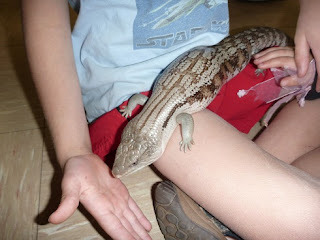 This is a blue-tongued lizard. Little ED feeding and an emu. LD has been reviewing his punctuation and capitalization rules this past week or so. Here's a new sheet he did about our family holiday a year or so ago (or go to my downloads page). The playground we went to was amazing!! The kids still talk about this playground. 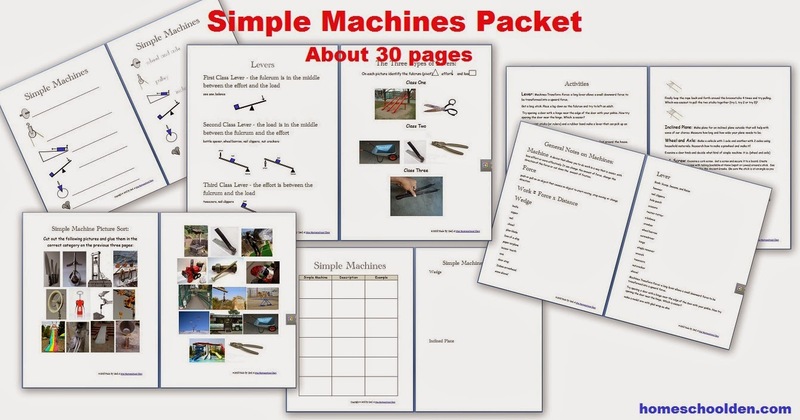 You probably won't care that much about LD's worksheet, but I bet some will be amazed by this public playground! I'll put in a bigger photo of the slides below. Here's the old post about this amazing playground down near Adelaide, South Australia. And then back to language arts--here's another quick worksheet LD did to review some grammar rules. Here's a practice sheet on capitalization, punctuation (.,!?) and contractions. You can find it here. Today's my birthday, so this post is about... well me! I am so happy! Not that I wasn't happy in Australia, but I was ready for a change and boy is life wonderful here! I've managed to find a musical outlet here (I played the oboe in a wind ensemble for 10 years in Australia). Here I'm singing in my church choir and have had the opportunity to play the oboe in a small ensemble and as duet. I've met some great people and made some close friends. Not only that, but my best friend from Colorado (where we lived 13 years ago) is moving to a house just FIVE minutes from me! AND we just found out last week that our close friends from Australia have joined the same company as my husband and they plan to move close by. My kids have known their kids since LD was 3 and DD was 1! Next year I won't feel like quite the wallflower at the company Christmas party! And how amazing to see our family so often -- we've seen the grandparents on both sides no less than four times this year already (for us this is an amazing blessing). My sister, her husband and kids lost their house and most everything they own in a flood in Nashville last May. 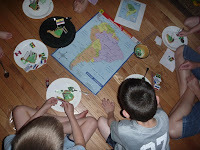 They decided not to rebuild (they homeschool, my sister works full time, while my brother-in-law goes away for weeks at a time with the Nat'l Guard. They have a busy life). Just a couple weeks ago, they closed on a 33 acre farm with a lake. They are very, very happy! My sister is amazing and I am lucky to be very, very close to her (as I am with my sister-in-laws as well). Truly, I have a wonderful family! I'm not playing soccer or field hockey these days, but we got a used treadmill when we moved here and I use that regularly. It's a great outlet for me! ED is actually old enough to let me do that. I've read some wonderful books (just for me!) lately. Can you imagine??! 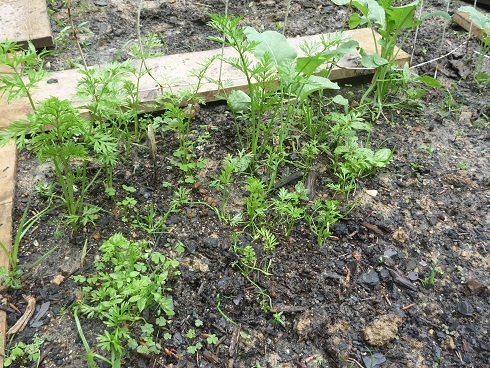 This spring has been a wonderful gardening adventure for me and the kids. 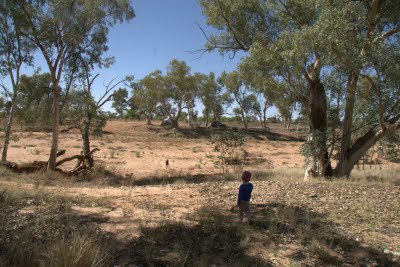 I had a small garden in the Outback, but as you can imagine, it never did real well. Our garden is doing well and we find the whole process is pretty miraculous and amazing! 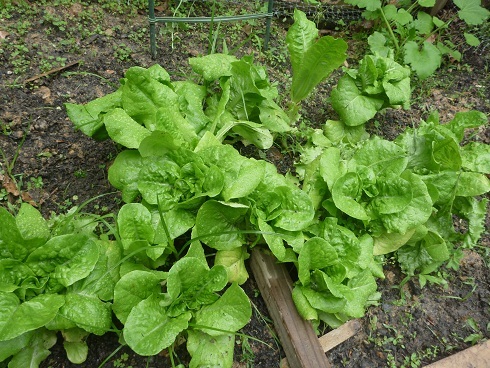 The kids are thrilled to be eating their own lettuce. We sectioned off the garden (so that the kids could claim certain areas). The boards have been fabulous because they allow the kids and their young friends explore the garden freely without me having a heart attack. The kids are great about just walking on the boards! I have two areas which are covered with mulch where the kids can stand as well. We have a wonderful crop of lettuce -- and have lots of other things growing well (peas, beans, broccoli, carrots, tomatoes and sunflowers so far). We have quite an eclectic garden because everyone wanted some of each. 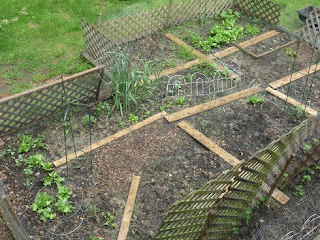 So if you look closely, you'll see there's lettuce in various places all around the garden! 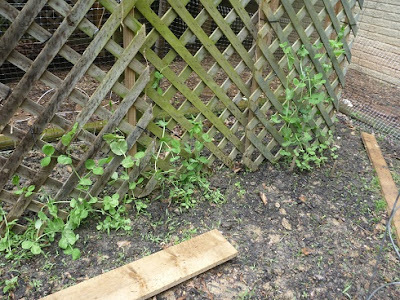 We all love spending time out here and plant something new nearly every other day! DD and I are memorizing this poem. I just love it! And your rewards are few. Was once a nut like you! I might not be growing 'mighty' but I certainly am still growing in wisdom. So that's about it. Have a great day! LD pulled out his microscope this week and has been using all the science slides and rushing outside to bring things to look at. "MOM!!" he shouted at one point. "You've gotta check this out." "Wow. What is it honey?" "My booger. I never knew it would look like this." On another note, I like this microscope as a beginner's microscope because they can look down through the top or look at the image from the front (see the photo below). I don't know if this is common, but I like this feature. 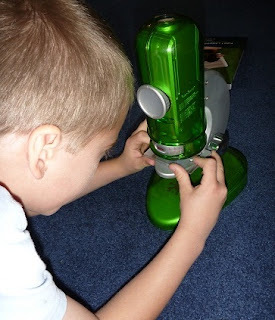 We got this microscope as a free gift years ago with a subscription to Horrible Science. 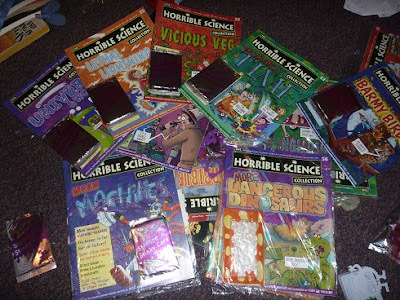 LD was tiny, but my sister's kids were homeschooling and so I got two subscriptions and saved ours. Now, five+ years later we're really, really enjoying them. I don't think the magazine has ever been released in the US, but it's too bad because the content is fun and wonderfully educational. 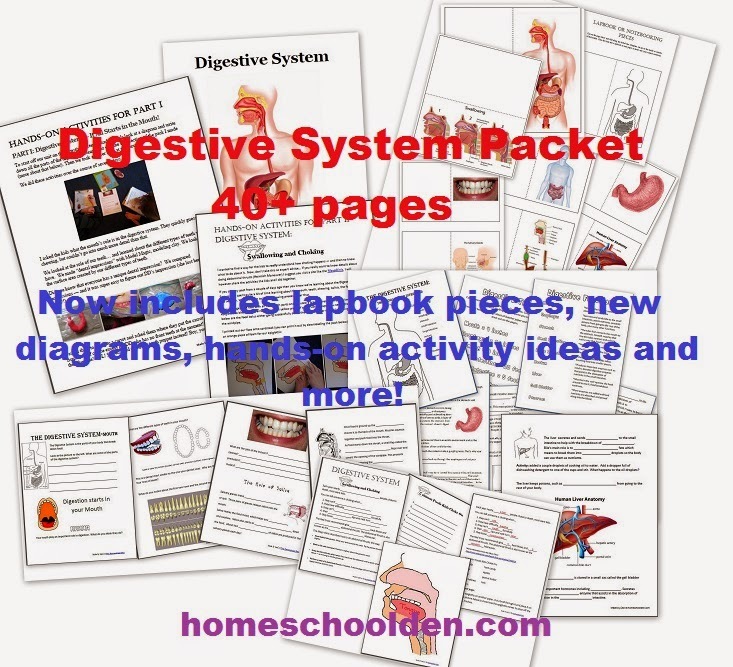 Topics range from chemistry to the human body, slugs to space. Each magazine came with a little toy or something too (slimy brains, little science experiments, etc.) The kids have pilfered through most of those now (I let them have access to the collection since we moved here), but there's still years of great content in the magazines. I've been having a thoughtful discussion with a blogging friend of mine. 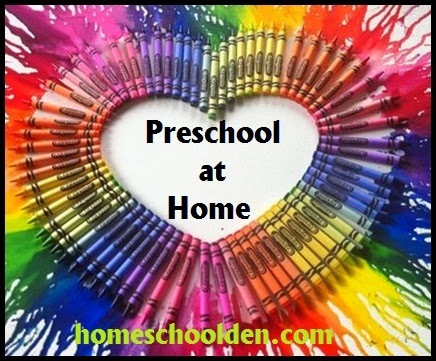 We've been talking about the reality of homeschooling... how it really works with a three year old in tow, what curriculum we use and things like that. 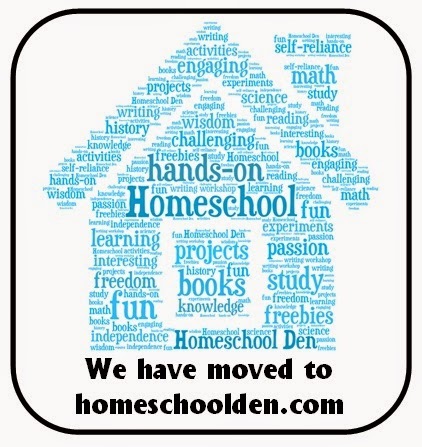 I would love, love, love to hear your comments about how your day goes -- and how you arrive at your homeschool curriculum decisions! Here's part of my email letter to my friend... I'll add in a few pictures too! Sometimes I just reach into the cabinet and bring out five activities and spread them around us hoping something will catch her attention (second picture). And sometimes, I wind up homeschooling with ED climbing on my back and head (no kidding!!). Ugh! So, it's often a challenge -- and I'm often left feeling that I haven't "done enough" quality work with DD (or LD). The other 'problem' is that the kids play so happily that it's hard to draw them back to what *I* want to accomplish. Just now, for example, I was playing math games with DD. LD came in and wanted to play. Once the game was over that sparked an idea in their heads and they ran off to play robot wars with the glass bead math manipulatives we had been using. Sigh... what *I* wanted to do was have them finish some math-workbook time. And ED? She is happily occupied, BUT is taking out thing after thing and creating a picnic with all the stuff. 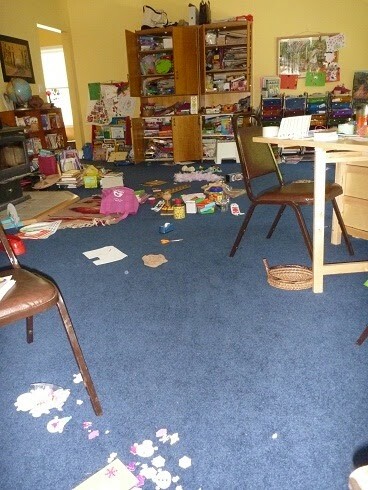 Just a half hour ago, the carpet was picked up and clean. 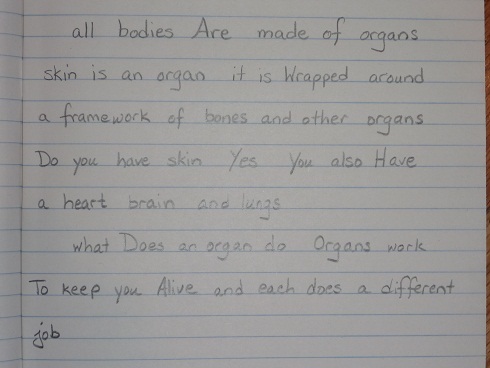 Writing -- DD has worked in some random store-bought workbooks for handwriting, but I haven't yet had her work regularly in Handwriting Without Tears. It didn't resonate with her -- and she preferred the preschool workbook I had picked up somewhere else. She is happy writing notes and letters to people on her own -- and I want to encourage that free form kind of writing. Every now and then I pull out a particular letter (a worksheet on the letter "n" for example) if I see her writing it improperly. But she doesn't do much in the way of formal writing lessons yet. I'm not going to start her on cursive at any point soon. I'll re-evaluate that in another 6 months or so. I will probably start working with her on "All About Spelling" level one once LD is done with that book (he has one more lesson). I really, really love that program and would highly recommend it. 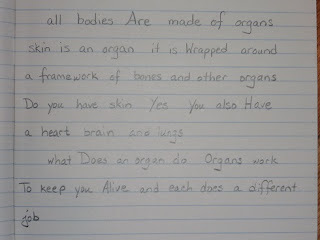 LD has really come far with it (he is a very, very reluctant writer). These are all basic rules -- and then I expand on them in another blank book -- creating various exercises for LD. Sometimes I write sentences and having him put in the correct punctuation, fix the capital letters, etc. (I put in an example to the left.) Or sometimes I have him write sentences on his own paying particular attention to the rules we've gone over. In other words, I use that Write Source workbook as a jumping-off point. I also try to add in other language activities that compliment what we're working on like this contraction sort from Oceans of First Grade Fun, for example. The more hands-on I can make things for LD the better. I just ordered First Language Lessons from Amazon and ordered Writing with Ease from the library by Susan Bauer after reading some wonderful reviews. I'll decide whether I want to incorporate them into our day/week. **I'm adding in later -- I got Writing With Ease from the library and have read through and glanced through most of it. It emphasizes copywork and narration especially in the first years. I had LD do a lot of copywork in first grade, but I'm not sure I would do this again (exclusively) with my other children. 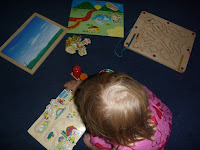 It did not seem to help him much with getting the flow of writing words (if this makes sense) or learning to form words on his own. In my opinion, the skills he has taken from All About Spelling has served him MUCH better than all the work he did copying sentences. I *did* take some things from this book and may incorporate some aspects of her narration exercises, but for me personally I will not use Writing with Ease as a curriculum for writing. **And also adding in a few days later that First Language Lessons arrived and I can see that'll work really well for our family. DD already memorized the first poem! Let's see -- we obviously do our unit studies all together. The kids work on music separately (DD does the glockenspiel, LD does the piano). We have music classes with friends. I am hoping to re-start our German lessons together very soon. DD is particularly keen to learn that. I have some new books and really hope to incorporate that into our routine. You were asking if I follow any "guidelines." That's a difficult question to answer. 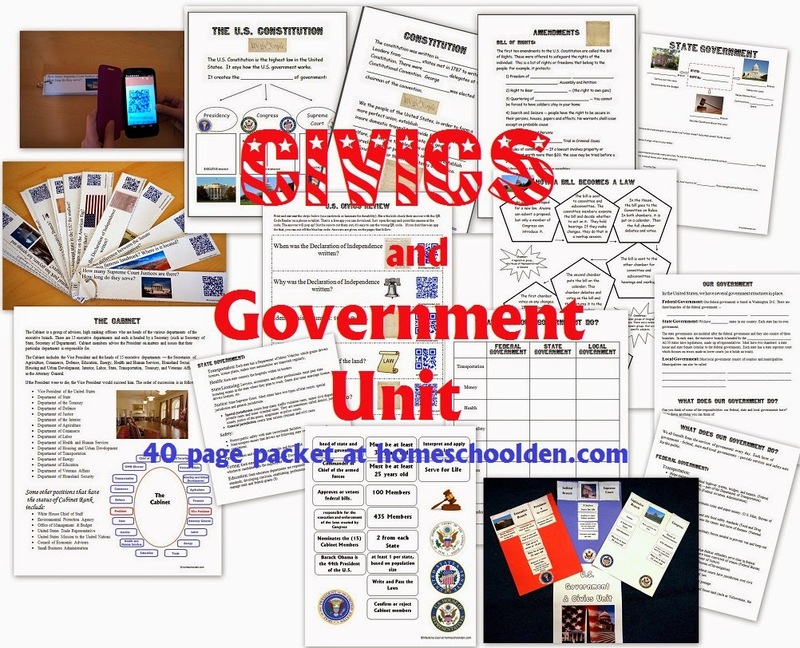 I am an eclectic homeschooler, so I really use lots and lots of sources. I regularly read and look through books like "What your Second Grader needs to know" or look through the Typical Course of Study for kindergarten or second grade -- -- but rarely use that when designing our curriculum. I just keep those kinds of things in the back of my mind. For history I have just been gradually moving forward through time. 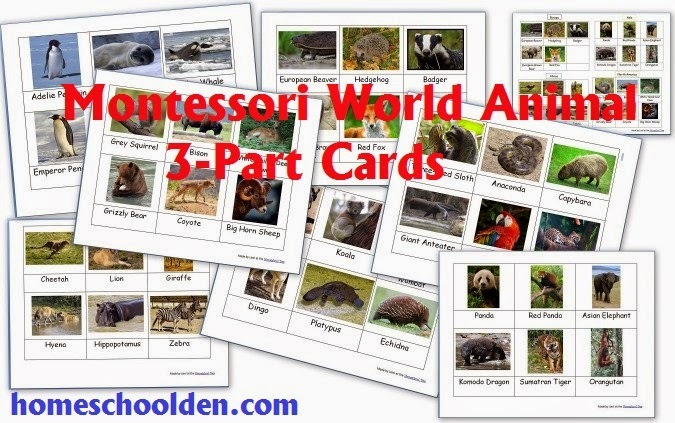 For science I spend a LOT of time looking at the Montessori 6-9 science general topics and look through the contents of various curriculums out there (Noeo Science- or Real Science 4 Kids). 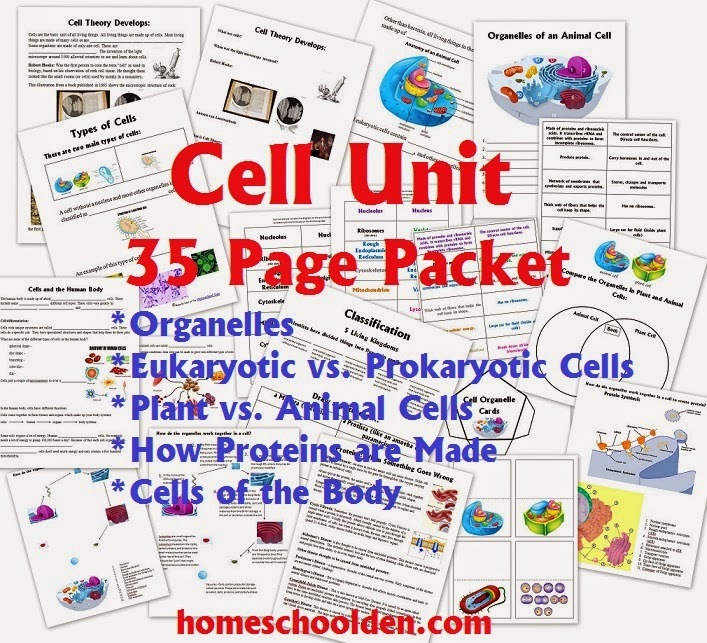 Our units often stem from the topics covered in these other curriculums, but more often than not, I pull things together myself. And I also ask the kids periodically what THEY want to study. When LD said he wants to learn plants, plants, plants, plants (!!)... 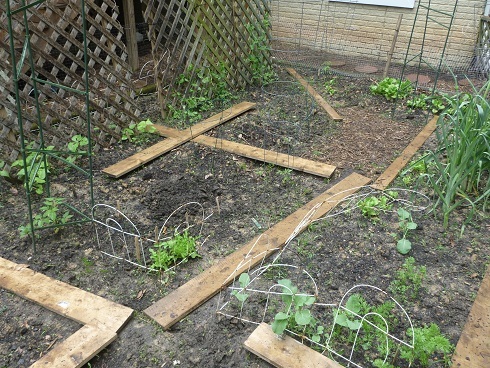 I kept my ear to the ground and jumped on the Junior Master Gardener curriculum when I heard about that. But our lapbooks (like DD's lapbooks on penguins and sunflowers this semester) came from what she said she wanted to study. My time is about up. I really enjoy hearing from others. 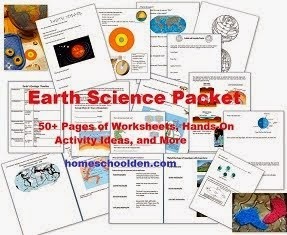 knowing I'm not alone in the homeschooling adventure!! Please leave a comment if you have the time! Can't wait to hear from you.